“Conditionally exempt small quantity generators (CESQGs)” – which are being renamed as “very small quantity generator (VSQG)”. What Requirements Would Apply To VSQGs? Generates no more than 1 kg/mo of AHW through ongoing activities. Generates no more than 100 kg of waste from spilled or released acute hazardous waste (AHW). Transfer of wastes to a LQG controlled by the same entity for “consolidation” and management; VSQG marks and labels waste containers with “VSQG Hazardous Waste” (LQG notifies EPA at least 30 days in advance (identifying VSQG) and meets LQG management requirements). Once-annual use of the “episodic waste” provision. What Requirements Would Apply To SQGs? Generates no more than 100 kg of waste from spilled or released AHW. SQGs would be subject to revised requirements for satellite accumulation (more flexible in some respects but more stringent in others). Opportunity to seek local waiver of set-back requirements between eligible containers and site boundaries. What Requirements Would Apply To LQGs? Generates more than 1 kg/mo of AHW through ongoing activities. Generates more than 100 kg of waste from spilled or released AHW. 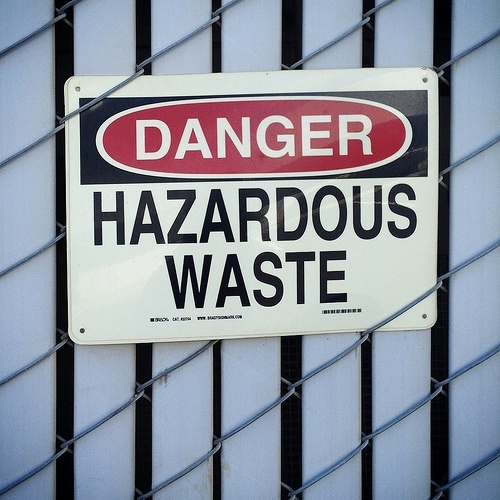 Ability to consolidate and manage hazardous waste from VSQG(s) controlled by the same entity. LQGs would be subject to revised requirements for satellite accumulation (more flexible in some respects but more stringent in others). Requirements for biennial reports would be clarified, including specification of which categories of hazardous wastes must be included. LQGs would be required to create and retain documentation of determination that wastes are not hazardous. LQG contingency plans would be subject to expanded/clarified requirements. Formal closure requirements - which already apply to tanks, drip pads and containment buildings – would also apply to containers used to accumulate hazardous waste in central accumulation areas. An LQG would be required to notify EPA at least 30 days before closing a unit that is accumulating hazardous waste (or closing the entire site). CESQG (to be renamed VSQG)? Has the organization reviewed each facility’s compliance with applicable RCRA requirements?Has the organization reviewed how hazardous waste management activities at each facility might require changes to comply with revisions EPA is proposing? Jon Elliott is President of Touchstone Environmental and has been a major contributor to STP’s product range for over 25 years. He was involved in developing 12 existing products, including Environmental Compliance: A Simplified National Guide and The Complete Guide to Environmental Law.Mr. Elliott has a diverse educational background. In addition to his Juris Doctor (University of California, Boalt Hall School of Law, 1981), he holds a Master of Public Policy (Goldman School of Public Policy [GSPP], UC Berkeley, 1980), and a Bachelor of Science in Mechanical Engineering (Princeton University, 1977).Mr. Elliott is active in professional and community organizations. In addition, he is a past chairman of the Board of Directors of the GSPP Alumni Association, and past member of the Executive Committee of the State Bar of California's Environmental Law Section (including past chair of its Legislative Committee).You may contact Mr. Elliott directly at: tei@ix.netcom.com.